← The Redfern Review – How Is CEO Peter Redfern Doing At Taylor Wimpey? In February 2016, the government asked the Construction Leadership Council (CLC) to look at the labour model within the construction industry and the pressures on skills and other constraints that limit housebuilding and infrastructure development in the UK. 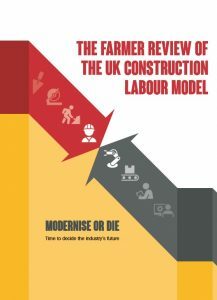 The CLC commissioned Mark Farmer to undertake a review and his report, The Farmer Review of the UK Construction Labour Model was published on 17 October 2016. The independent Farmer Review, commissioned by two Government departments, highlights construction’s dysfunctional training model, its lack of innovation and collaboration as well as its non-existent research and development (R&D) culture. Farmer says the construction sector must “modernise or die” and faces “inexorable decline” unless radical steps are taken to address its longstanding problems. Mark Farmer, an independent construction labour consultant, found that the building industry was failing to invest in either training or research and development, resulting in a steadily shrinking workforce that was and is, failing to increase productivity. For many years housebuilders have reclaimed large amounts from the CITB, much of it for mandatory health and safety training such as: First Aid, CICS cards, site inductions, tool box talks and the CITB’s own Site Management Safety Training Scheme (SMSTS) courses. None of which is training related to or creating trade based skills. The large plc housebuilders currently pay 0.5% of their PAYE and 1.25% of their net (after tax deducted) CIS sub-contractor payments; reduced from the previous 1.5% of payments made to labour-only sub contractors. Many of the larger housebuilders forcing their labour-only subcontractors to supply minimal materials such as screws or nails to avoid the levy all together. At least housebuilders find it harder to cheat the current levy, even though they are skilled at reclaiming most of their levy contributions from the CITB as “training” grants. According to the Commission for Employment and Skills, only 57% of employers in the construction sector offered any training in 2015. 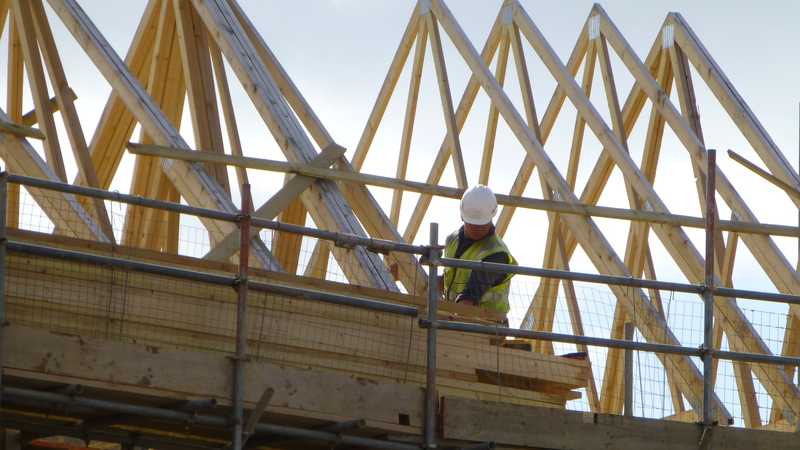 The Review found that the increasing reliance on private-sector housebuilders has made the industry more cyclical, working against a long-term investment in training, as have low margins among construction companies. A YouGov poll earlier this year found that two-thirds of Britons wouldn’t consider a career in construction. Farmer said he also wants ministers to directly intervene in certain areas to ensure many of the issues identified are rectified. Good luck with that! The ten recommendations of the APPG Inquiry Into the Quality of New Homes has thus far fallen on ‘deaf ears’ within the DCLG. It is no good commissioning reviews, reports, studies and having inquiries, if the resultant recommendations are never considered or implemented. 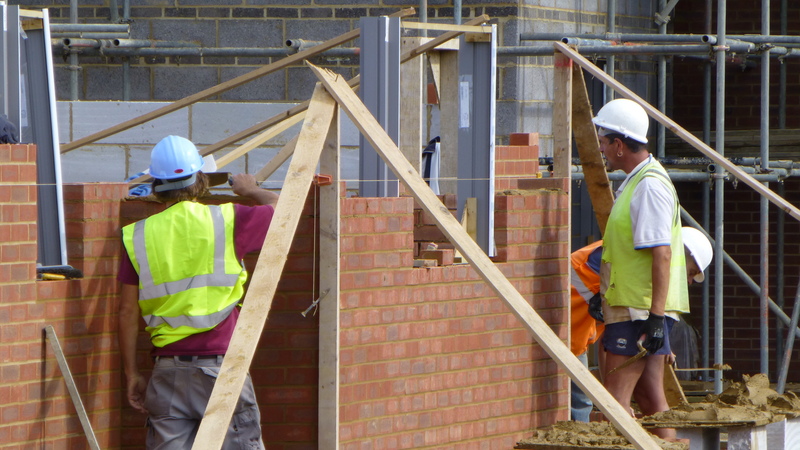 Perhaps Government should start withdrawing state funding such as Help to Buy from housebuilders that refuse to take their training responsibilities seriously, or windfall tax the increasing profits these schemes are generating to fund construction training. This entry was posted in New Homes and tagged quality, skills shortage, standards, training. Bookmark the permalink.